Join us tonight and tomorrow for two firsts in the park. - Watch professional players demonstrate their skills and cheer on favorites at the public tournament, hosted by a surprise celebrity guest. - Presented by Fred Perry and SPiN New York. 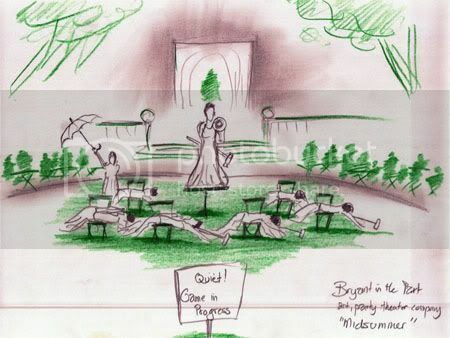 - Don your most sophisticated croquet whites and enjoy a free evening of fun and theater in the park as fifteen members of the fictional Bryant Park Croquet Society sip tea, play croquet, and celebrate the poetry of Bryant Park’s namesake, William Cullen Bryant. - Created and presented by art.party.theater.company.